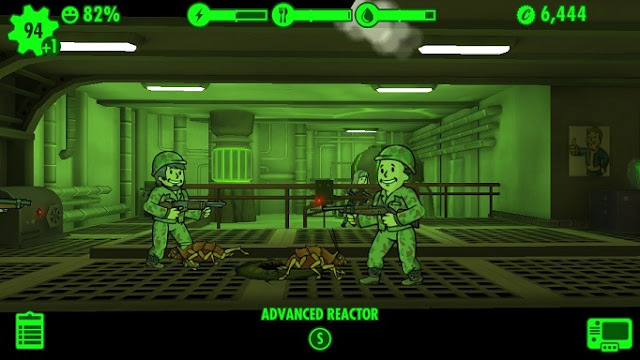 In Fallout Shelter, the worst thing can happen to you next to the shortage of resources are disasters. This can occur when you step into a room with your residents too fast and fails. We show you what disasters there and what you can do about them. If there is a catastrophe, disaster or accident in fallout shelter, you should always assign residents from other rooms to cope with the problem. Below, we introduce you to the disasters that could happen to you. In an accident or disaster in a room with a pregnant residents, and they are just running around wild and not help. Holt in such cases, get other resident’s help. Fires occur in fallout shelter most frequently. You can kill inhabitants and destroy rooms if you don’t act fast enough. When a clumsy resident enter a room too quickly, it may cause fires. How many residents do you need to extinguish a fire depends on the size of the space. Small spaces need two fire extinguishers, while large rooms need five or six residents to combat. If you are waiting too long, fire can spread to other areas and cause real damage. The Radroaches are radioactive contaminated giant cockroaches that may arise in your Vault at any time. They are swift and merrily attacking your residents. Especially in crowds they bring dangerous and difficult to control. Therefore, you bring them the best order as soon as possible. Send residents with good weapons for insect control. You may be able even unarmed combat, but this takes considerably longer time. With larger rooms even more cockroaches come. Therefore simply send more residents with weapons.